Ah, Sweden. Impossibly good-looking people! Socialized medicine! Shared child care! Affordable home furnishings that are hard to put together! Open-faced sandwiches! The midnight sun! Lingonberries! Colorful yoked sweaters! A show set in Sweden must be very wholesome knittertainment, right? Nah. Forget everything you thought you knew about Sweden. Sweden is a hellscape of brutal violence and rainy weather. I know this because I am a fan of Wallander. I must specify that I am speaking of the British TV series by that name, starring Ken Branagh (and featuring, in an early season, Tom Hiddleston). There is also a Swedish TV series. The program is, after all, based on Swedish books and set in Sweden. I’ve heard that the Swedish version is better than the British version. 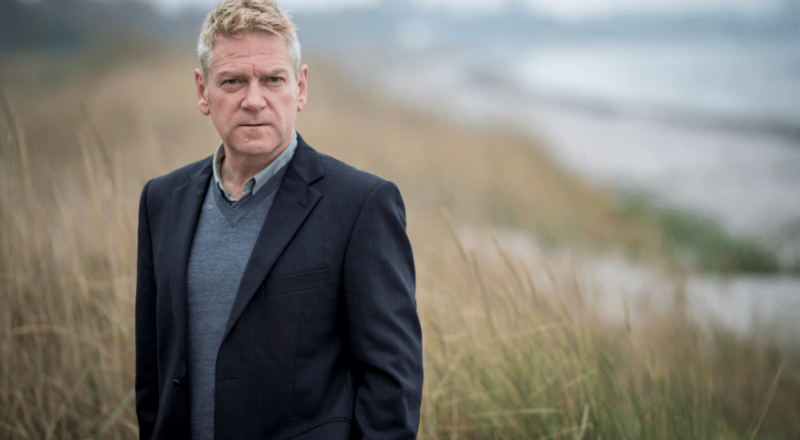 I cannot believe it, because who could be a more morose, intense Wallander than Ken Branagh? That’s his “radiantly happy” face. The poor man has terrible lighting in his house. He has the worst instincts about whether it is safe to enter a property. Everybody he loves dies or leaves him. And it’s one horrible, incomprehensible crime after another in his grim little city. The theme song makes you want to hide under the covers and not get up for a week. The first three seasons of the British series, and two seasons of the Swedish series, are on Netflix. Rustle up some smørrebrød, grab your knitting, and settle in. I couldn’t agree more. Lots of knitting while binging on this show. Absolutely wonderful!